A film about visionaries from all corners of our world meeting to create a brand new one filled with the advances of the future, Tomorrowland isn't too shy to name drop a lot of historical figures. Figures such as Thomas Edison, Nikola Tesla, and, of course, Walt Disney himself are all mentioned at one point. 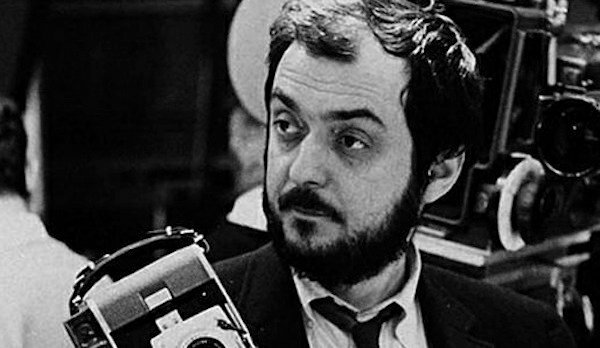 As if that wasn't a prestigious enough grouping of minds, Brad Bird suggests that another historical heavyweight would have appeared: legendary film director, and avid futurist, Stanley Kubrick. ...[Frank] leans back and sitting next to him was Stanley Kubrick, who was also at the World’s Fair and in seeing that film, tracked down Douglas Trumbull to do the effects for 2001. That sort of sly reference to historical detail is the sort of thing that filmmakers like Brad Bird excel at, and with Tomorrowland already sporting a who's who of thinkers that were lightyears beyond, surely one more couldn't have hurt? After all, Kubrick is the same man that not only employed artists that nailed the construction of a bomber plane's cockpit by using only publicly released photos in Time Magazine, he also planned one of his own films as a starring vehicle for a robot actor. You see, back when he was still developing A.I. : Artificial Intelligence, word has it that one of Kubrick's big hang ups about making the film was that he wanted to make the film with a real robotic actor. If that's not the type of person that Plus Ultra, the folks behind the Tomorrowland project, would recruit into their fold, then we can't imagine who else would fit the bill. Of course, the deletion of Kubrick's cameo makes complete and total sense when taking into account the other concepts that were deleted from the film. With Judy Greer's supporting role in the film already trimmed to a bare minimum, and a clever Samuel L. Jackson post credits stinger abandoned as quickly as it had been thought of, Brad Bird and company knew what to trim and what to keep in order to make Tomorrowland a streamlined beauty of a film. Not to mention the fact that while Stanley Kubrick would have been undoubtedly considered for Plus Ultra membership, he probably wouldn't have made the cut. This is, after all, the man who would go on to make The Shining, and that just doesn't jive with Plus Ultra's mandate. Whether you were looking forward to that cameo or not, you can catch Tomorrowland in conventional and IMAX theaters as early as tomorrow night. Trust us, it's worth the ticket price.